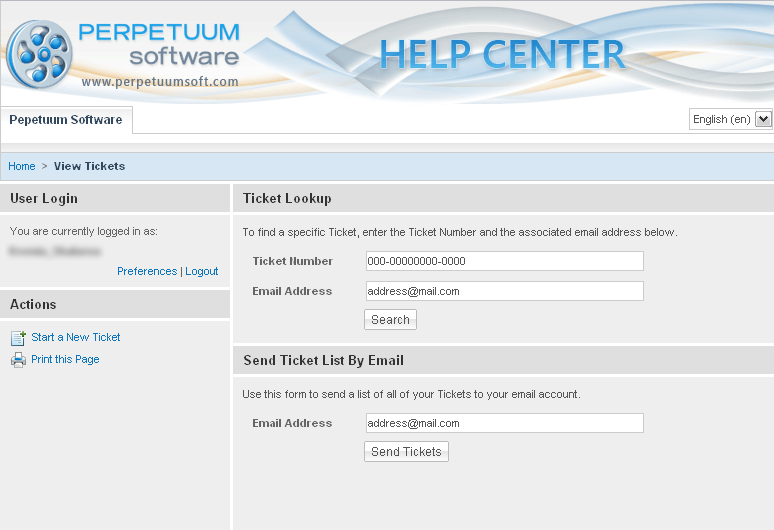 All the tickets sent by Web Interface and email can be viewed in the Web Interface. 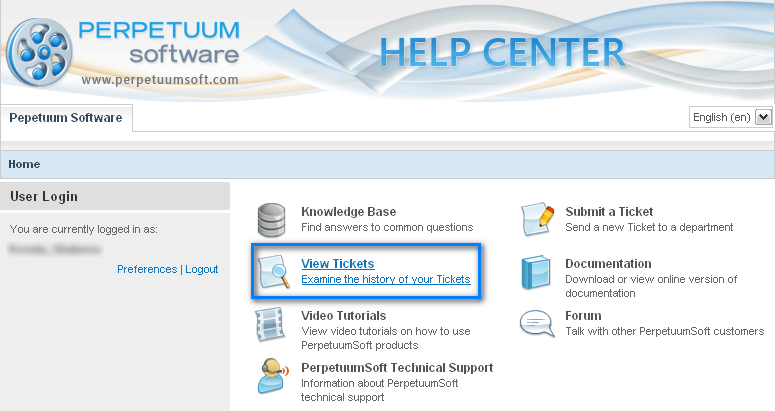 You need to log into the Help Center and press “View Tickets”. One can also search by a ticket number. Fill in the “Ticket Number” field and the “Email address” used for submitting. Press “Search”. In order to receive the list of tickets sent from your email, type it into “Email Address” field and press “Send Tickets” button.